conquered death and sin that we may have the newness of life. The Pastoral Services Appeal (PSA) is an annual campaign to support our parishes, schools and ministries in the Diocese of Orange. The PSA runs from January 1 to December 31 of every calendar year, and for the 2019 PSA, you have through December 31, 2019 to complete your pledge. Thank you for your generosity! 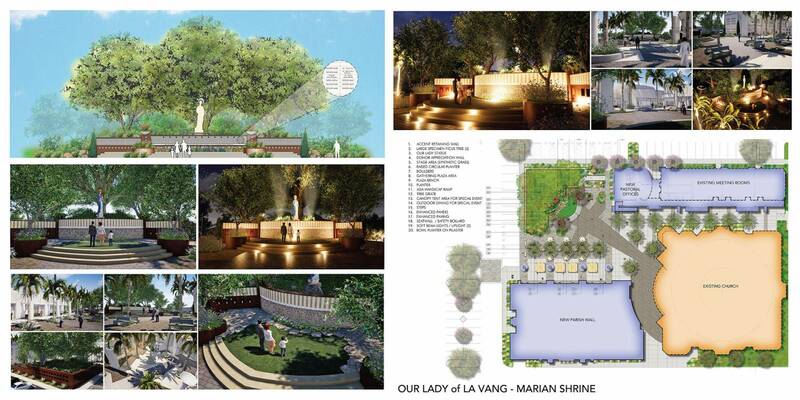 Our parish invite you to share our contribution for new building and Shrine of Our Lady of Lavang. Our parish has monthly Baptism for Children (bilingual Vietnamese-English), from 7 years old and under, 2:00 PM – 3:00 PM, every Sunday in the second week of each month. Download form and things to do before wedding at Our Lady of Lavang. Please contact Our Lady of Lavang Office (714) 775-6200, or our pastor Joseph Luan Nguyen, extension 201. 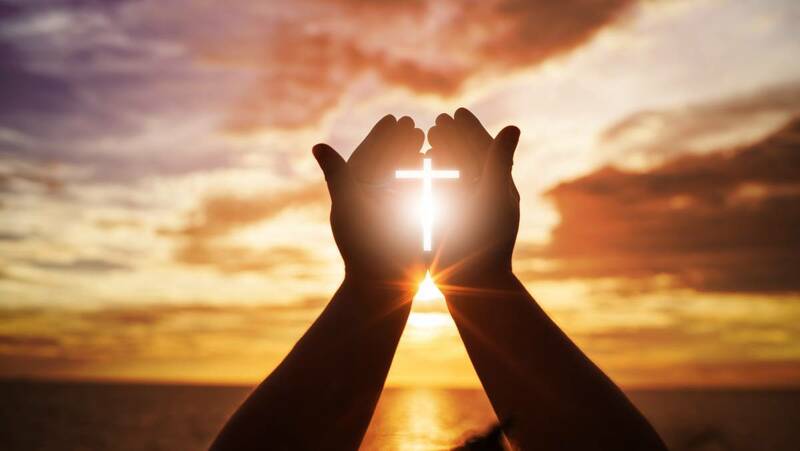 Dear Brothers and Sisters in the Love of the Risen Christ! Today, together with the whole Church throughout the world, we celebrate the Feast of the Risen Lord! Jesus Christ has conquered death and sin that we may have the newness of life. Together with Father Timothy Nguyen, we wish all of you in the Parish Councils, Vietnamese and Hispanic organizations, ministry groups, benefactors, and parishioners the peace, love, and joy of Jesus Christ our Risen Lord. I also want to congratulate you 18 who were baptized at the Easter Vigil. May the Risen Lord give our newly baptized peace, love, and joy as they now grow in the Catholic Church! Happy Easter to all! Các em học sinh của 3 khối Giáo Lý, Việt Ngữ và Thiếu Nhi Thánh Thể sẽ trở lại học bình thường vào tuần tới, thứ Bảy, ngày 27 tháng 4, 2019. Kính mong các quí vị phụ huynh lưu ý. Xin cảm ơn. 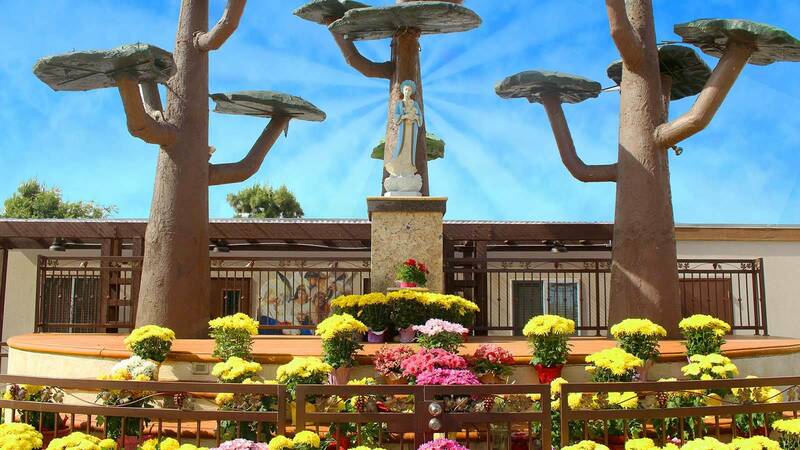 Welcome to Our Lady of La Vang. This is the year we celebrate our 10th year anniversary. 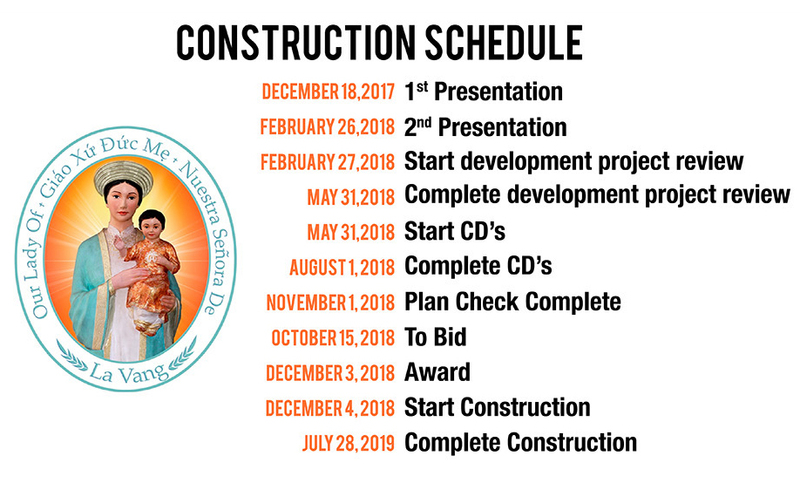 Together our parish invite you to share our contribution especially a campaign for new building and Shrine of Our Lady of Lavang. God bless you.